Electronic inspiration for your weekend. 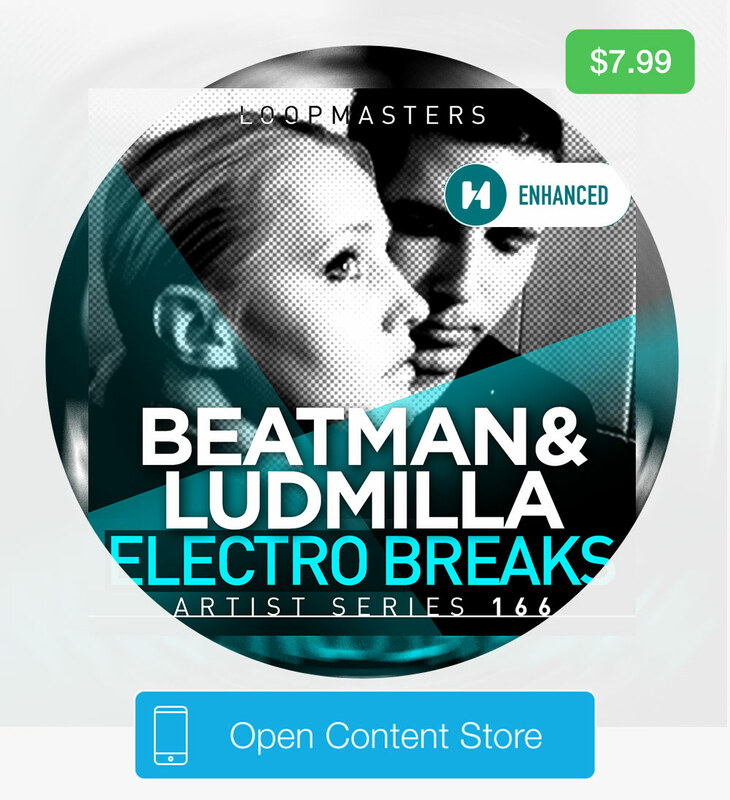 Loopmasters proudly present Beatman and Ludmilla Electro Breaks, featuring 50 loops and 50 one shots from their own studio, to push the boundaries of your sound, and deliver a festival season smasher! Breakbeat duo Beatman and Ludmilla could well be Hungary’s biggest export, amassing countless awards off the back of their tracks, remixes and extensive live performances. Beatman and Ludmilla have been on top of the Breakbeat scene for years, sharing stages all ove the world with Skrillex, Adam Freeland, PendulumGoldie, Plump DJs, Noisia, and many more – so you can be sure their show is one to behold. At tempos from 126-135, Beatman and Ludmilla is ideal for Electro, Breaks, EDM, House, Techno and Electronica! Let Beatman and Ludmilla take you on a journey of electronic exploration, with this superb fusion of electronic beats and sounds. Bringing you some of the fattest synth and melody lines, dope bass and beats, Monster Sounds Future Bass captures the essence of this booming genre. Clint Breeze Electro Hip Hop Pop is on mega sale this weekend at just $0.99!